"Getting Right Tools for the Job by Evaluating Storage Performance"
Let’s face it- Storage Performance Evaluation is an arduous task!! To profile and analyze storage performance the testing tools should not only be “good enough” for smaller, on-off tests, but should also accurately measure when requirements scale and the workload becomes more complex. 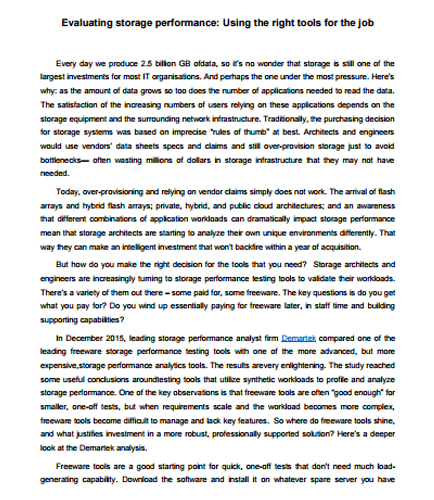 Download this informative whitepaper on “Evaluating storage performance: Using the right tools for the job” to understand how proper storage performance testing tools can evaluate the efficiency of your enterprise data storage resources in terms of capacity utilization, storage performance and data protection.